Laura joined New Court as a tenant in October 2014 after successful completion of her pupillage. Laura was called to the Bar in 2009 having completed the BVC at BPP Law School. Prior to her vocational training, Laura read law at Cardiff University. Prior to commencing pupillage Laura was a Legal Assistant at Miles and Partners LLP for 18 months specialising predominantly in care proceedings. 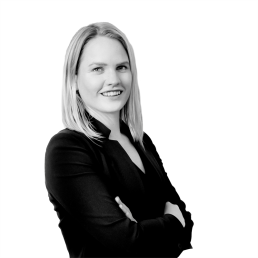 Laura also gained experience in private law children proceedings, cases involving child abduction under the Hague Convention and urgent applications under the Family Law Act 1996. Laura has also spent 18 months working as a County Court Advocate representing clients in a variety of hearings such as appeals, small claims, detailed costs assessments, applications to set aside, housing matters, including Landlord and Tenant cases and bankruptcy hearings. During her legal studies, Laura undertook pro bono work for the National Centre for Domestic Violence, Free Representation Unit, Personal Support Unit as well as volunteering at a local Legal Advice Centre. I am registered with the Information Commissioner’s Office (ICO) as a Data Controller for the personal data that I hold and process as a barrister. My registered address is New Court Chambers, Temple, London EC4Y 9BE and my registration number is ZA050415. I store my case files on Microsoft OneDrive which is a cloud hosted environment. OneDrive has a network of data centers around the globe, and verifies that each data centre meets stringent security requirements. OneDrive complies with international data protection laws regarding transfers of customer data across borders. OneDrive is certified under the EU-US and Swiss US Privacy Shield Programs regarding the collection, use and retention of personal data and its transfer from the EU and Switzerland to the United States. In addition to the Privacy Shield, OneDrive also provides strong contractual guarantees around the privacy of its services and relies on the EU Model Contract Clauses to cover its international transfers of data.